A complete Sonic Arsenal Featuring the Best Eventide Effects, Anthology X is comprised of seventeen mixing, mastering and multi-effect plug-ins based on 40 years of Eventide studio mainstays like the H910, H949, H3000 Factory, Band Delay and Omnipressor®. 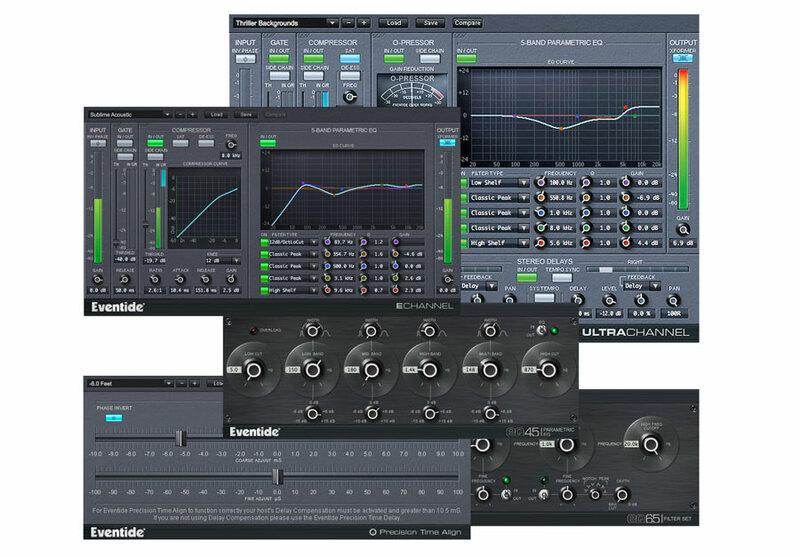 It also includes future classics like UltraChannel, UltraReverb, Quadravox and Octavox that will help you solve problems and inspire new creative possibilities. Anthology X is a true must-have for any size studio. A tour de force of digital audio processing, Anthology X features the best of the past and future. 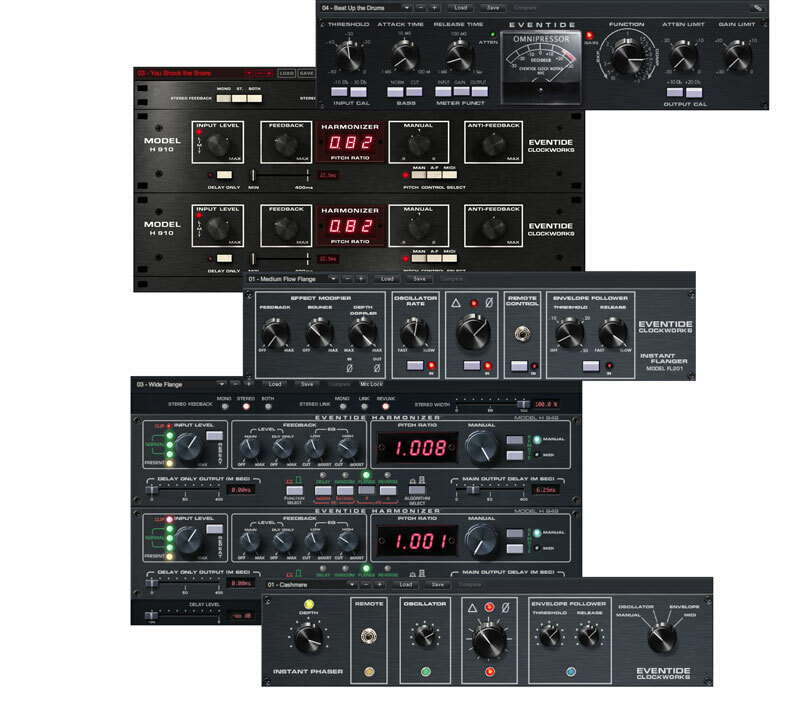 Included is the original Clockworks Legacy bundle – Instant Phaser, Instant Flanger, H910 Harmonizer, H949 and Omnipressor. From the H3000, Factory and Band Delays offer unique creative possibilities that can be used to breathe life into any instrument or vocals. 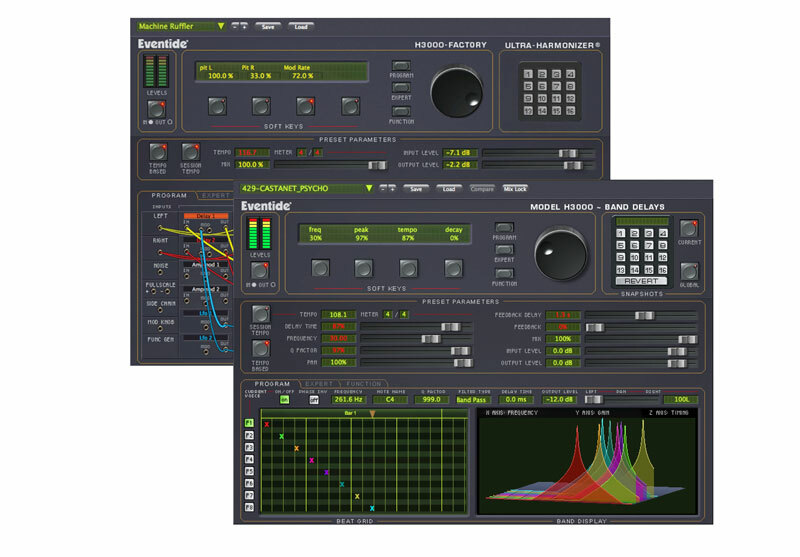 For mixing and mastering, the faithful reproductions of precision EQs (EQ65 Filter Set and EQ45 Parametric Equalizer) can be used to surgically sculpt any track. Along with these classics, next generation effects like UltraReverb and Octavox offer more creative possibilities than ever before. Two H910s cunningly ganged together to create stunning stereo effects. Allows for linking, unlinking, or reverse linking parameters of left and right channels. Cross feedback available between each unit with up to 400ms delay. Stereo width control sets the panning in the stereo field for huge soundscapes. Super crunch sound using extreme compression – sounds great on everything from male vocals to a drum buss. Simulation of the world’s first phaser, a single-function analog processor featuring a sweeping filter bank. Classic sound that can be heard on countless hit records such as Led Zeppelin’s “Kashmir”. Features the Notation Grid – graphic placement of notes on a musical staff. Light-weight version of UltraChannel using fewer CPU cycles. Re-orderable gate, compressor, and 5-band parametric EQ with optional output saturation. Circuit model of the Urei 545 parametric EQ. 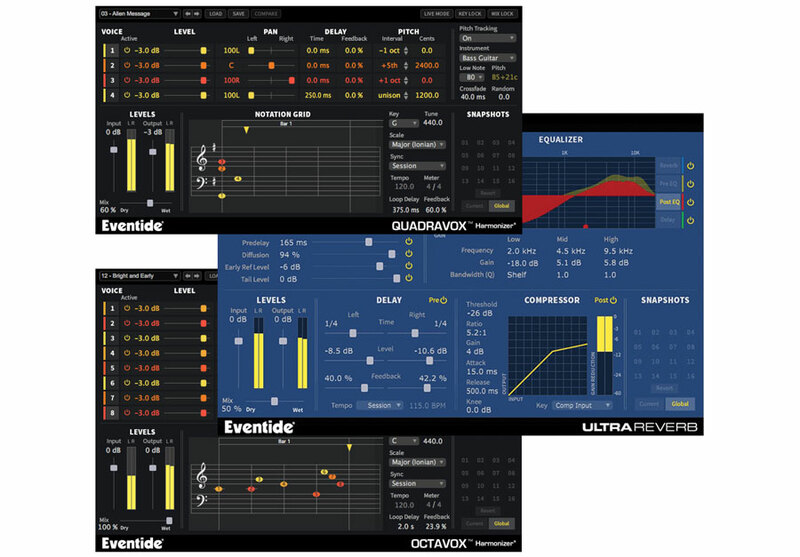 Contains 24 dB Octave High Pass and Low Pass filters and 4 bands of Parametric EQ. High precision sub sample delay that can slide a track forward or backwards in time to align signals. Works killer on multi-miked distorted guitars (and other instruments) by eliminating the common problem of comb filtering.